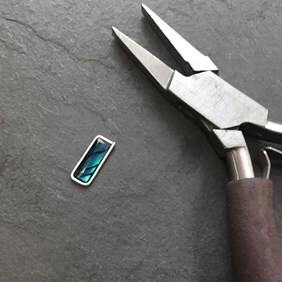 A common obstacle for those starting out with stone setting is being unsure on the best way to set a more unusual shaped or sized stone. This can easily get in the way of using that stone you love and want to work with! 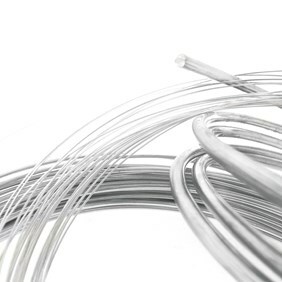 Firstly you want to select your wire thickness. 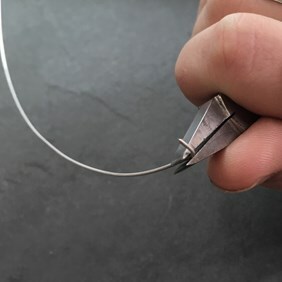 The best way to do this is to lay a bit next to your stone to see what looks right to you; a deeper stone will probably want a thicker wire to look in proportion (you can always file it down once it's made). If you're unable to do this 1mm is a good average size to go with. Use your pliers to help shape your wire around the circumference of your stone, which pliers to use will depend on whether the shape is circular or geometric, round nose will be better for rounded sides and flat nose for geometric sharper angles, snipe nose can be used for both. Take your time during this part as you want the wire to form a nice snug fit around the stone. Once you have the wire formed use your side cutters to cut off the excess. If you leave about 1mm extra you can file down the end to make sure it fits neatly to form the join where you want to solder it together. 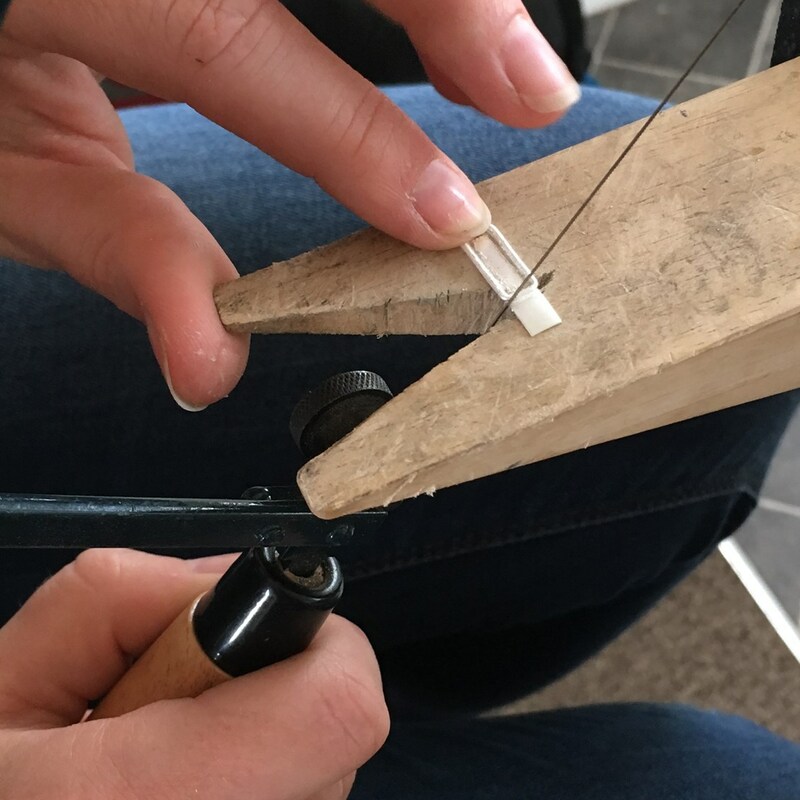 Check the fit by placing your stone in the centre of the wire shape - it should slot in easily but without being able to move around once in place. Use hard or medium solder (either paste or strip & flux) to solder the wire join together. To do this put the shape flat on a solder block and add a small amount of solder on the join (about 2 pin heads should be enough). Heat with a blowtorch until the solder melts (you should heat the metal around the join first before directing the flame to the solder). Put in the safety pickle after soldering. 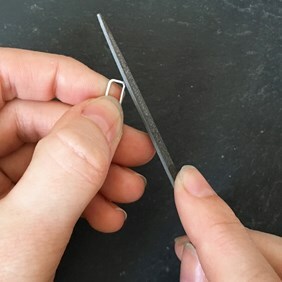 Now use your needle files to remove the excess solder on the join and shape it to match the other corners of your shape (if it has them). To create a more defined right angle to a corner you can create the shape out of wire lengths for each side and solder each corner join separately. The next stage is to create a back plate. 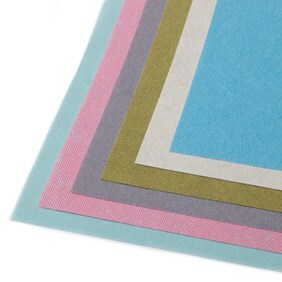 0.3mm silver sheet should be fine for this but you can use thicker if you'd prefer. 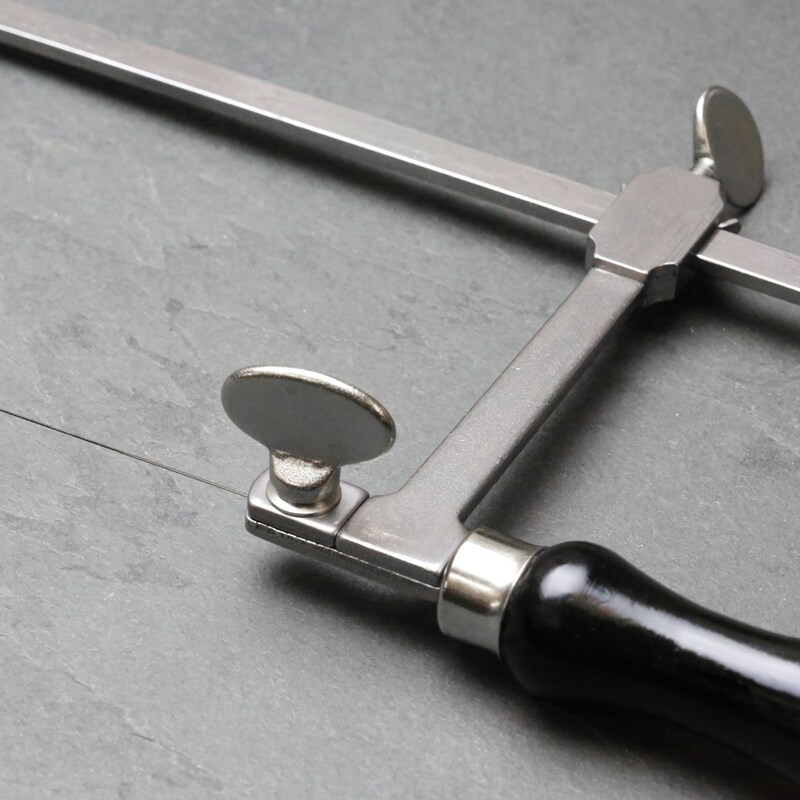 Use a piercing saw to cut a piece of sheet to a size that is slightly larger than your wire shape. 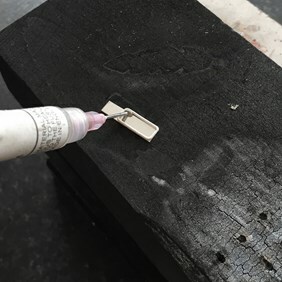 Place your back plate on your solder block then put the wire shape on top - ensuring they are both flat to each other and add the solder paste or pallions & flux around the inside edge of your wire. Heat until the solder flows joining the two pieces together and pickle afterwards as before. 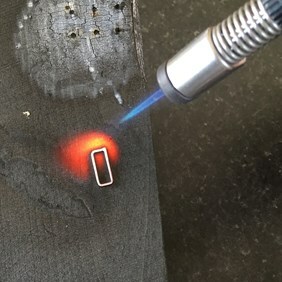 For this solder join we recommend using the next solder grade down- either medium or easy but you may be able to do it with the same one. Use your piercing saw to cut of the excess sheet around your setting then tidy up the edges with your needle files and some wet and dry paper. Your setting is now ready to customise as you wish. Try adding some jump rings to the top to make it into a pendant setting or earrings. 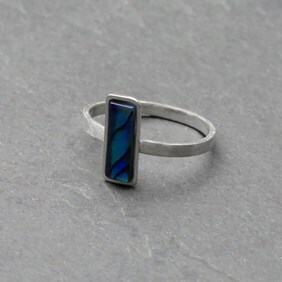 Alternatively make a simple ring band and solder the setting onto that - as we have done in our example. Once you've completed your chosen customisation polish up the setting. If you don't have an electric hand tool with polishing attachments you can use our polishing papers to achieve a great high shine finish to your pieces with minimal effort. You are now ready to glue in your stone. 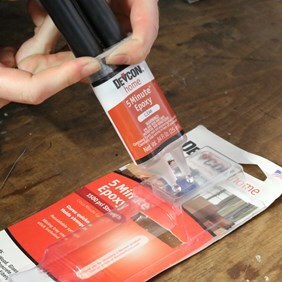 We recommend an expoxy glue such as our Devcon 5 minute epoxy to attach your stone. Why not try using some sterling silver beaded wire to create a more decorative style of this setting.